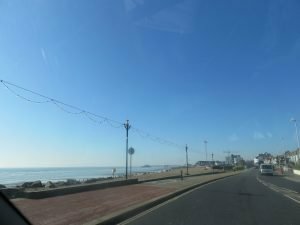 February came and went in a flash! 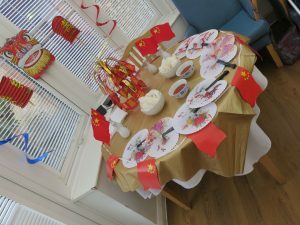 On Monday 4th February we celebrated Chinese New Year of the Pig! 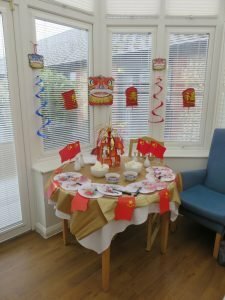 We exercised to Chinese Music and enjoyed finding out which Animal Year we were born in…..we had Snake, Tiger, Rabbit, Monkey, Rooster and Rat!!!! It was fun reading out the meanings of the various animals from the Chinese Zodiac. We finished the morning enjoying Prawn Crackers and a Sweet Chilli Dip! Lots of lovely sunshine which really made everyone very happy….the Snowdrops were an absolute delight at the Manor, our lovely Residents and visitors delighted to see them pop their heads out of the ground so early…due to the warm weather. Regarding flowers at Valerie Manor we love having fresh flowers in our bud vases for the dining tables for those Residents who eat in the Restaurant or Conservatory. For those Residents who choose to have a meal in their room the lovely staff add a bud vase to the serving trays…..a lovely touch don’t you think. You will be aware that because of the temperature that has to be maintained for our Residents that unfortunately many flowers do not last as long as they would in our homes…..carnations are quite good but a number of our lady Residents whilst chatting on a Monday morning suggested……Alstroemerias…..(yes I did have to look the spelling up in my dear late Mother-in-Law’s ‘Percy Thrower’s Everyday Gardening Book’!) these flowers are commonly known as the Persian Lily…..the ladies said that they really last so I was on a mission to find them…and guess what…I did and they do! They are not always available but when they are I get them on a Monday in bud and they last until the following Monday…our ‘bud vase’ day! I try to take them up before Supper at 5.00 when a few Residents join me having a chat and a giggle whilst arranging the flowers. 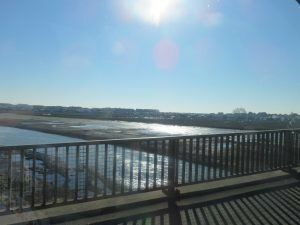 Still exercising on most Monday mornings at 11.30….we have very relaxing music….Aromatherapy Wellbeing, Zen Garden, Nature’s Harmony, Tranquil Waters…to name a few titles. We like to encourage our ladies and gentlemen to join in as we all know it is so beneficial to keep moving. I know that a couple of the ladies do the exercises on a regular basis in their rooms. 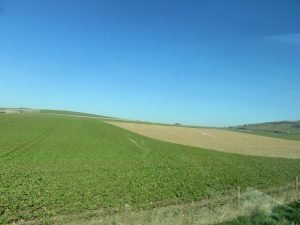 Mind Benders….we had Similies….for example….as fresh as a (daisy)….as neat as a (pin)….we also had ‘Name a Girl/Boy/Flower/Fruit/City/Town’ beginning with a certain letter…which was not as easy as it sounds! 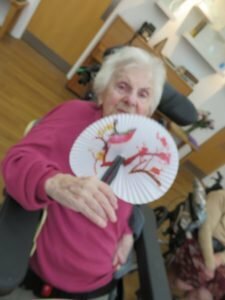 Again favourite Musicals were requested and we enjoyed a lovely Sing-a-Long with Max Bygraves…the favourite being….A Nightingale Sang in Berkley Square. 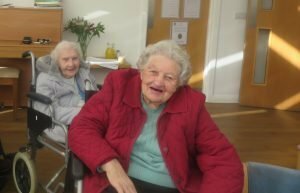 The lovely twins visited their Great Grandmother again with their mummy and nanna much to the delight of everyone…..smiles all round! 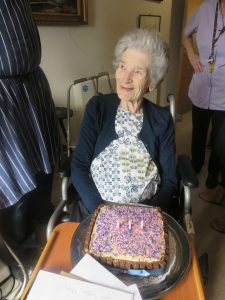 We love celebrating birthdays here at the Manor – today we celebrated on of our residents and also one of our staff’s! Looking forward to some cake with afternoon tea! Sun is shining and Choc Ices are out!!!! 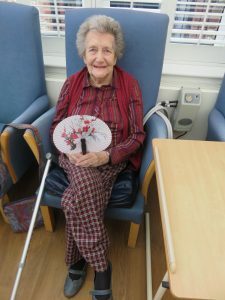 The sun was shining this week and some of our residents enjoyed an outing to the Seaside, along the river and the South Downs……..We are so very lucky to live in such beautiful surroundings……..The residents who stayed behind were enjoying choc ices in the conservatory or in their bedrooms – the first one of the year!! 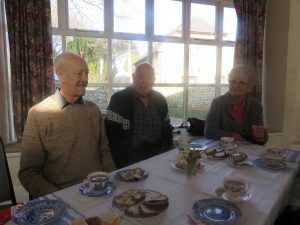 St Peters Church Tea Party! 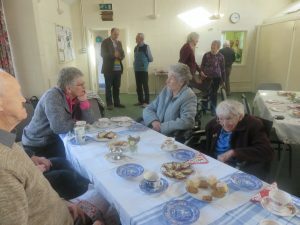 We love our monthly visits to the St Peters Church Tea Party’s! Thank you to the local Community for always thinking of us…….